“Fairy rings” are the rings, ribbons or arcs of stimulated plant growth and/or fruiting bodies of large fungi. They often occur on the ground in woodlands and agricultural or amenity grasslands. According to myths in the West, fairy rings are caused by dancing fairies. The first scientific paper on "fairy rings" was published in 1675, and that was followed by many others. However, the real identity of the fairy (the cause of the vegetation growth forming the ring) was a mystery. 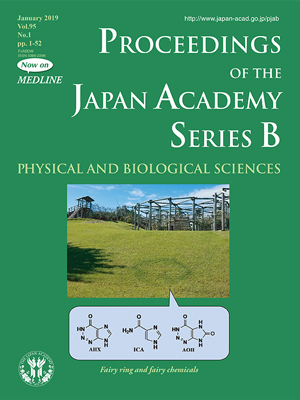 In 2010, a research team led by Hirokazu Kawagishi (pp. 29-38 in this issue) identified 2-azahypoxanthine (AHX), produced by the fairy ring-forming fungi Lepista sordida, as the fairy. Later, they found two other fairies, imidazole-4-carboxamide (ICA) and 2-aza-8-oxohypoxanthine (AOH). 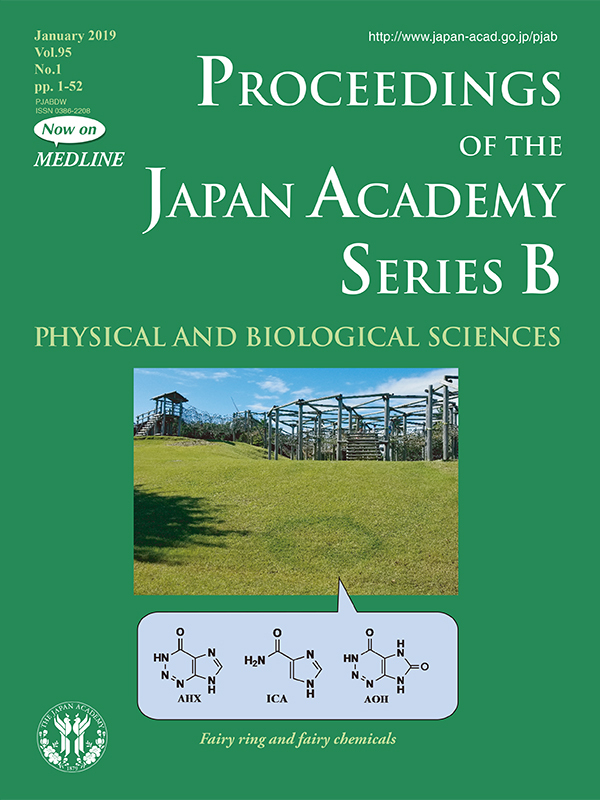 The cover image illustrates a fairy ring on grass in a park in Hamamatsu, Japan, and the structures of the three compounds (fairy chemicals).